We are highly acclaimed in the market for offering unmatched quality Food Processing Brushes. 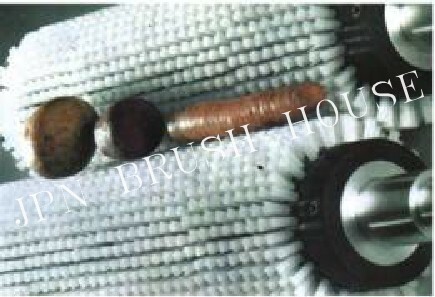 We use the most advanced German technology to make the Food Processing Brushes. These Food Processing Brushes are apt for washing gherkin, vegetable, fruits, etc., in the food processing industry as that are made of food grade bristles. We also supply customized Food Processing Brushes to the clients as per their requirements.